On Monday, Google released the commercial version of its latest major Android build, called Android 9 Pie. The platform was first previewed at the company's annual developer conference in May and was widely known as Android P at the time. Android Pie is initially being rolled out to Google's own Pixel phones, allowing these devices to enjoy a short head start over rivals. Google says phones that were a part of the developer preview programme — notably the Essential Phone, Nokia 7 Plus, Oppo R15 Pro, OnePlus 6, Sony Xperia XZ2, Xiaomi Mi Mix 2S and Vivo's X21UD and X21 — will get the new software in a few weeks. Other smartphones and tablets may get the operating system sometime "this year". A significant update from Android Oreo, Android Pie introduces a new navigation system, screen-time controls, battery optimization and privacy tweaks. 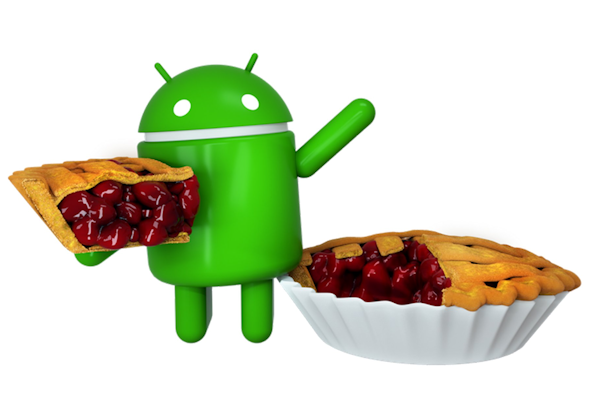 In many ways, the official unveiling of Android Pie is just a formality; the most recent beta release, Android P beta 5, was really close to the final build. Battery life optimization has been a big focus in Google's past few updates, from Android 6.0 Marshmallow to the previous iteration, Android 8.0 Oreo. Customers had raised complaints about battery drain under Oreo, particularly with Samsung phones. But Google has made continual improvements, and Android Pie adds a new feature called Adaptive Battery. Impressively, Google has applied machine learning to tackle the problem of ever-draining power cells. Google says it collaborated with Alphabet's DeepMind team in London to build this capability. It prioritizes favourite apps and puts more limitations on the phone's resources for apps used less frequently. It takes time for the platform's cognitive talents to learn a user's patterns, but it's hoped that the technology will be able to predict which apps a user will access over the next few hours, keep them running, and then limit power to live apps that are less likely to be used. Google says that all of the machine learning happens on the device rather than in the cloud. Another feature coming later to Pixel phones and eventually to other devices is Android Pie's Digital Wellbeing tools. They include a dashboard that shows how much time users spend on their devices and a timer that lets them set limits on app usage. The feature is available for download now in beta mode on Pixel phones. Android is the most-used operating system on the planet, with more than 2 billion active users. Upgrades to the platform will therefore affect a lot of people, although upgrades tend to trickle down slowly. The diverse implementations of Android around the globe and in all tiers of devices, from flagship smartphones and tablets to entry-level handsets, is a constant headache for Google as it tries to create some sense of balance among the many device makers and users of the platform. There are still significant numbers of Android users stuck on older versions of the platform. This latest release adds another slice to the pie. Google will be hoping that its marginal yet useful improvements that encompass the high-profile trends of artificial intelligence and well-being will allow Android smartphone manufacturers to remain relevant.